The 2012 university entrant is 18 years old like all university entrants have been for ages. This generation was born in 1994. At the turn of the century in 2000 they were 6 years old. From then on till now, this generation has been exposed to the Internet and mobile telecommunication. The Internet and mobile telecommunication have influenced and shaped the lifestyle and thought-style of this generation like no other generation before. An amazing feature is: this generation is not confined to one particular geographical location. The Net-Generation is a global phenomenon like no other before. The bottom line is simple. If we understand the Net-Generation (Net-Gen) we will understand our future. The Net-Generation is a global phenomenon. A generation gap has always existed between the young and the old. It is not unusual for the young and the old to not understand each other. The Internet and rapidly changing telecommunication have just made this gap very much visible today. Teachers in education institutes are spread across a few generations. Today the most senior teachers are the oldest Baby Boomers. This generation was born between 1950-1962 and is aged between 50-62. The Old Baby Boomers are fast approaching retirement. Beneath them is the middle age group who were born between 1962-1977 and is aged between 35-50. The generation that has started its career was born between 1977-1987 and is aged between 25-35. There is no denying that some teachers across the above three generations are familiar with technological changes and are tech-savvy too. Having said so, the tech-savvy sophistication of the Net-Gen surpasses their elders in units of light years. Technology is advancing at a rapid pace. Today's 18 year olds are embracing technology and the media faster than any previous 18 year olds. They are at the cutting edge of changing times. They are faster than any generation preceding them. Today's 18 year olds are even faster than their immediate seniors, the 24 year olds, who are on the brink of finishing university. 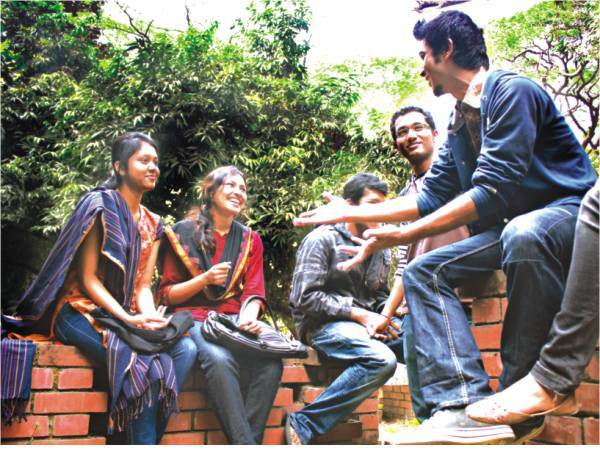 Although each individual is unique and the young do differ across socio-economic backgrounds in Bangladesh and any other country, 18 year olds who will enter the university in 2012 do exhibit general characteristics when it comes to technology and the media. Through understanding the Net-Gen we will be able to understand and appreciate what challenges our education institutes face. The thoughts expressed in this and the next few Post Campuses may not be totally relevant to Bangladesh. However, since the Net-Gen is a global phenomenon, the youth of Bangladesh are not immune to it. A casual observation suggests today's Campus Generation in Bangladesh is fast and good- if not better than others- at embracing changes that are on offer through the blessings of the internet. Today's young have grown up in an environment where technology is in the air. It is everywhere and a lot of it is invisible. The Net-Gen has grown up and grown with the largest storehouse of information in human history- the internet. The Net-Gen seldom consults a 'real' encyclopedia or looks up a word from a dictionary. They just 'google' the term and find it from the Internet or Wikipedia. A library is more of a place to study or meet friends outside class than to consult or search for a book. The Net-Gen is a wired generation. From the moment they wake up to the moment they fall asleep they are connected. Some are logged on 24/7 with their mobile phones kept silent, but respond the very moment an SMS comes. The internet and social networking, offline computer with multiple windows open, email, chatting, telephone, texting, video games, music and finally the television are the media through which the Net-Gen engages and expresses themselves. The most amazing and sometimes potentially risky proposition is multi-tasking. It is not too difficult imagining a Net-Gen doing all the above tasks at the same time. As a fun experiment: make a list of things you would like to do if you had free time. Think about it. Chances are very high that the Net-Gen will be doing several things at the same time. These include some or all of the above activities while gossiping with friends; studying; doing assignments and homework; eating; or doing something else. Now ask an elder to prepare the same list. Common sense and researched evidence both point to single tasking or bi-tasking at the best the older a generation gets. A unique feature of the Net-Gen is how they embrace new tools for communication. The same mobile phone is used differently when in the hands of a Net-Gen and their parents or grandparents. Mobiles are now a medium for SMS, Youtube; accessing Facebook and other social networks; blogging; and tweeting while video conferencing is just a matter of time in Bangladesh. Today email has become a means for formal communication only among the young. It will not be too long that mobile phones will be replaced by tablets that are in their infancy at the moment. To the Net-Gen mobile telecommunication tools- the phone, the notebook, the tablet, the MP3 player; the iPod; and the iPad are not just a means of expressing themselves and communicating with each other. For the Net-Gen telecommunication tools are a way of life. This brings us to the prelude of the next Post Campus that seeks to explore the virtual social worlds of the Net-Gen. There is always more to the picture than meets the eye when observing the young. The difference is: today's young seem to be more interesting than their predecessors would like to think or can imagine. The road to understanding the young, however, has never been smooth and all rosy. There are always thorns that need to be considered before getting to the rose. Rewired: Understanding the iGeneration and the way they learn by Larry Rosen, Mark Carrier and Nancy Cheever. Palgrave, Macmillan 2010.